My second career royal flush came yesterday morning, and not before time! I was so owed! 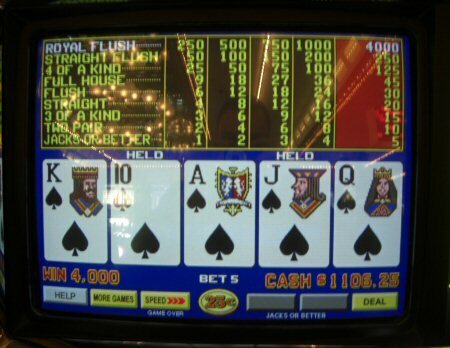 My only other video poker jackpot came several years ago now, and all I held to get it was one ace. This time I actually had to hold two cards before the miracle happened. If you look closely you can see the top of my head reflecting in the paytable.